We use manufactured products daily with little or no consequence. However, there have been cases where a defective product has caused serious harm or even death to the consumer. The law requires all products to meet the ordinary consumer expectations. The consumer here does not have to be the buyer of the product. It is any person using a given product. Thus, the law provides that anybody injured while using a given product has the right to sue and recover for their injuries. Contacting a personal injury attorney in Houston can help you to know what options you have for such a claim. Manufacturers must warn their customers in several ways about anything they know that could affect the product’s performance or could be dangerous. If the product is not designed with specific attention to safety and detail, and you’re injured because of it, you may be entitled to compensation. 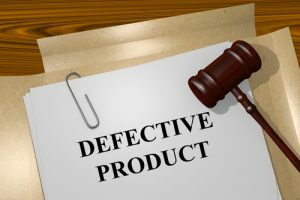 If a product is made with a mistake, you may be able to receive compensation after an accident. Damages for such accidents can be used for any medical expenses, emotional or psychological support, and any missed time from work because of your recovery. Trying to handle your own case and get the most compensation possible is difficult. Insurance companies will try to make you offers and pay you significantly less than what should actually be given. Consulting a personal injury attorney in Houston will be your best chance of getting what you need to continue with your life. The Law Office of D’Ann Hinkle is a trusted and experienced law firm. D’Ann has over 20 years of experience handling these cases and is here to help you as well. She is here to work for you and your rights, helping you and your loved ones get taken care of to be able to continue with your way of life. Contact her today.